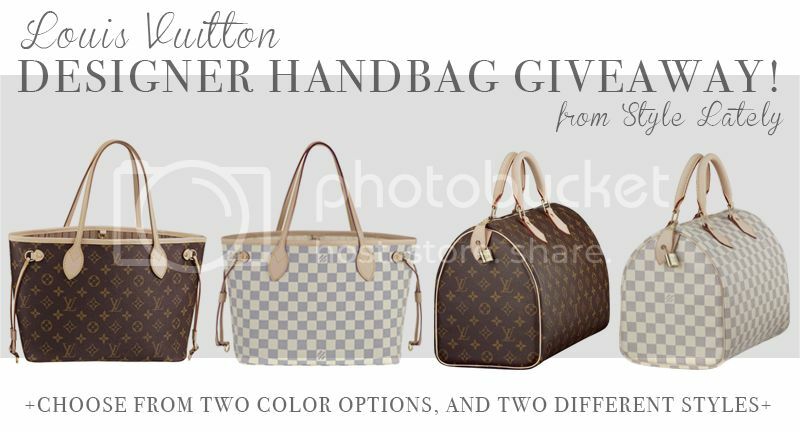 The Designer Handbag Giveaway is for one Louis Vuitton Handbag. This giveaway is open all people 18 years and older living in the United States only. The giveaway will run from Monday September 23rd, 2013 12:01 AM to Tuesday October 1st, 2013 11:59 PM. ALL entries WILL be verified, so please be honest in completing the entries. The winner will be announced on this Rafflecopter after the winner's entries are verified and the winner is contacted via email. To claim your prize, please respond to the email within 24 hours, failure to do so will result in a re-draw. Once the winner has been selected, the decision is final. This giveaway is not affiliated with Visa, Facebook, Bloglovin, Google, Twitter, Instagram, Pinterest, or any other social media platform. Bloggers in this group giveaway and their immediate family members in their household cannot win the giveaway.